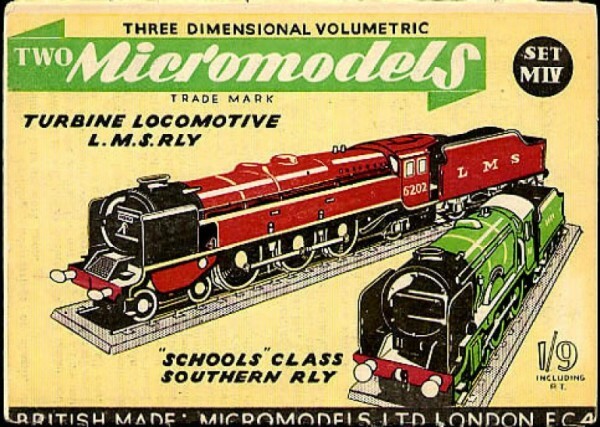 Description First issued in 1949 at 1/8d. 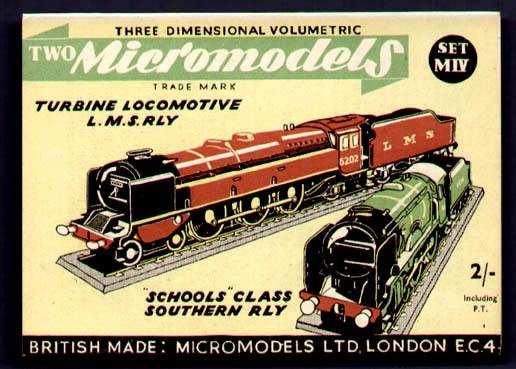 Re-printed in 1950 at 1/9d. 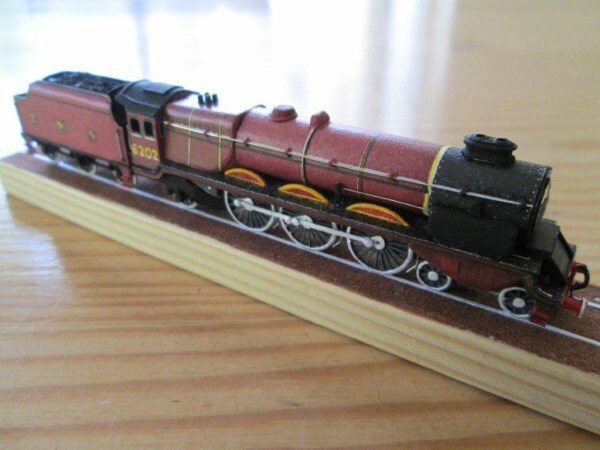 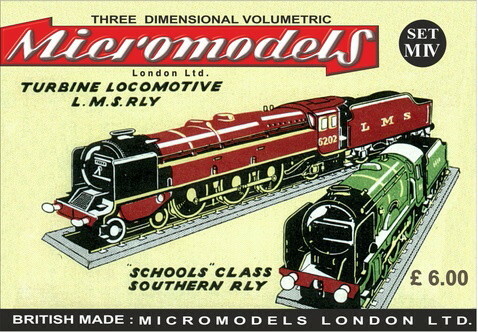 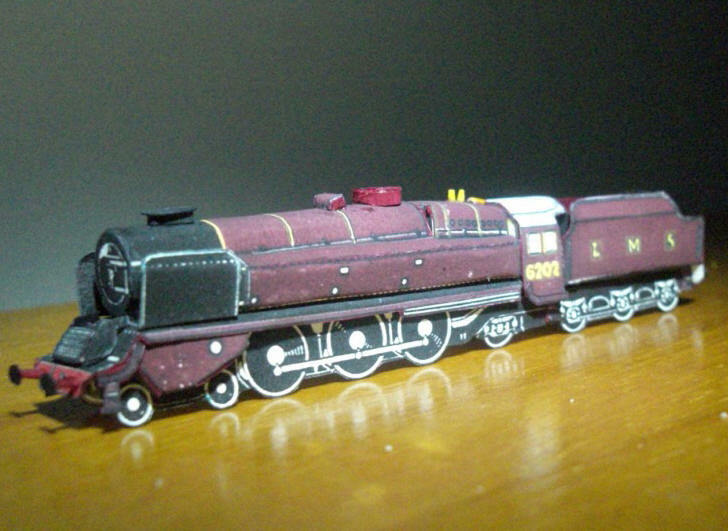 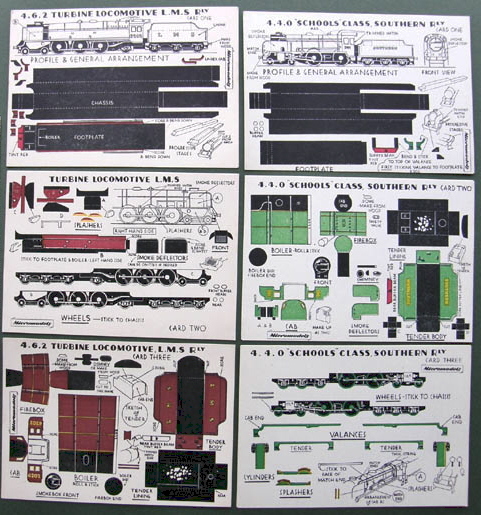 Re-printed in 1952 at 2/-d.
No significant stocks passed to Broadway Approvals in 1956, and was never catalogued by them in their colour catalogues “Micromodel Kits” and “Micromodels“. 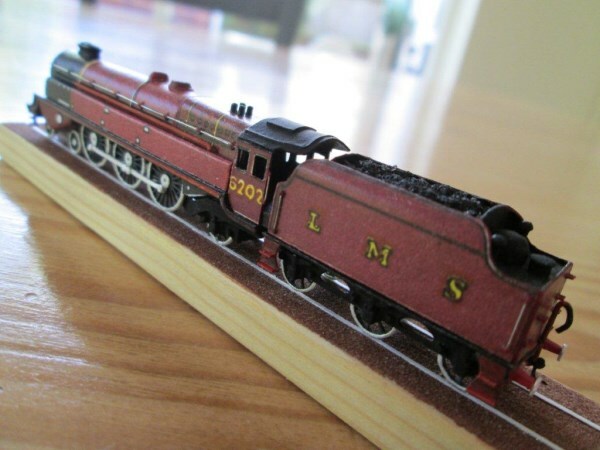 The red locomotive is the 4-6-2 experimental LMS Turbine Engine of the 1930s. 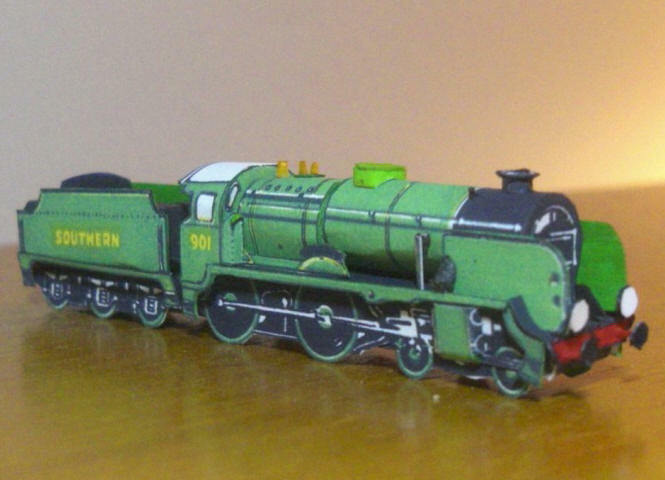 The green one is the classic 4-4-0 ‘Schools’ loco.